After dropping out of high school, the five Nourollah brothers embarked on an unconventional journey that started with selling fragrances and led them to successfully co-found natural beauty company Artnaturals. The brothers oversee different parts of the business—Joseph heads marketing and creative brand vision, Akiva manages supply chain and finances, Yaakov runs their HR and legal department, Yehuda oversees third-party marketplace dealings, and Osher Netkin is in charge of operations and product development. 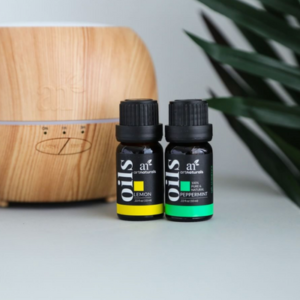 Joined by their head of sales, Michael Elefant, they run Artnaturals, offering a variety of essential oils, diffusers, and beauty products. With their dedication to cruelty-free and eco-friendly products, passion for innovation, and entrepreneurial spirit, the Artnaturals team has created a brand poised for great retail success. Read on to learn how this RangeMe Verified™ brand uses RangeMe for retailer placement and sales outreach. The Artnaturals team set out to make something innovative, unique, and beneficial to both consumers and the planet. Their products are cruelty-free, eco-friendly, and free of artificial fillers—all at a fair price. As consumers have been steadily leaning toward natural beauty and health products in recent years, Artnaturals uses data they’ve collected about the industry to their advantage. The team is passionate about making natural products that can compete with—and even exceed—pricier competitors. By combining their passion for natural and affordable products with research about the growing natural beauty industry and a customer-first mentality, Artnaturals has found the sweet spot for retail success. 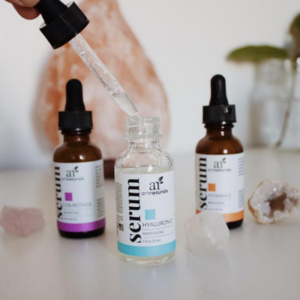 With their mission and product offering solidified, and success selling online, Artnaturals was ready to take the brand to the next level and start getting placed in-store. A key part to achieving that has been using RangeMe. “We are very active on the platform—it’s honestly part of my daily routine,” says Elefant. He has found success using RangeMe as part of his broader sales outreach to help start conversations with buyers, both on and off the platform, especially at trade show events. Elefant also takes full advantage of RangeMe’s Sharing feature, which then allows him to use Sharing Insights to track engagement with Artnaturals’ page and tailor his buyer communications. While using RangeMe for sales outreach has been very successful for Artnaturals, they have also found success within the platform itself. After Meijer discovered their offering and contacted them on RangeMe, the deal moved forward quickly and their products were stocked about three months later. Elefant notes that because Artnaturals is relatively new to the market, Meijer had never heard of them, leading to some initial confusion about the brand. “We definitely had to educate them and tell them a little bit about who we are and what we do,” Elefant says of setting up the deal with Meijer. Moving forward, Artnaturals is focusing their efforts on growing their product line and expanding to new segments. They are currently working on increasing distribution, landing more retailers, and creating innovative new products. As an ECRM attendee, Artnaturals also looks forward to attending future sessions and making valuable connections with buyers. Ultimately, they hope to become a lifestyle brand that people equate with natural, high-quality products across various segments, including beauty, health, baby, and home.